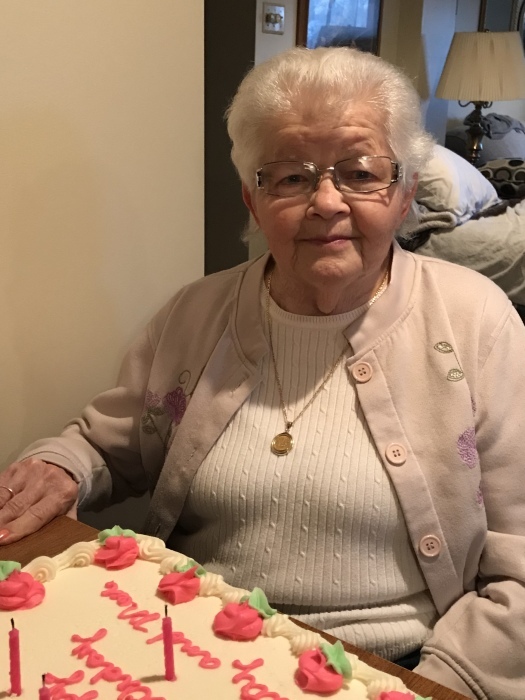 Lois M. Miller Stepp 87 of Vandergrift passed away Friday March 23, 2018. She was born January 20, 1931 in Kittanning Twp., the daughter of the late Newell and Frieda Shotts Miller. Before her retirement she was employed by West View Personal Care Home for eighteen years. Lois enjoyed gardening, canning, baking , Bingo, and especially time spent with family. She is survived by four children; Robert Stepp and his wife Helen of South Chesterfield , Virginia, Kate Stanley and her husband Jerry of Murrysville, Linda Bonnoni and her husband Thomas of Apollo, and Patricia Stepp of Vandergrift, seven grandchildren; Danielle Cline, Jeremy Blystone, Crystal Bonnoni, Chandler Bonnoni, Daniel Stanley, Charles Stanley, and Robyn Stanley, Ten great grandchildren, three sisters; Imogene Rearick of Apollo, Edna Elaine Heitzenrater of Barker, New York, and Donna Gunther and her husband James of Hernando Beach, Florida. In addition to her parents she was preceded in death by her husband Robert Dell Stepp, her grandson, John David Stepp, and three brothers; William, Ronald, and Dennis Miller, and a sister, Martha Gayle Miller. At Lois’s request all arrangements are private, and have been entrusted to the Kelly L. Corridoni Funeral Home Ltd. 1916 Moore Ave. North Apollo, Pa.